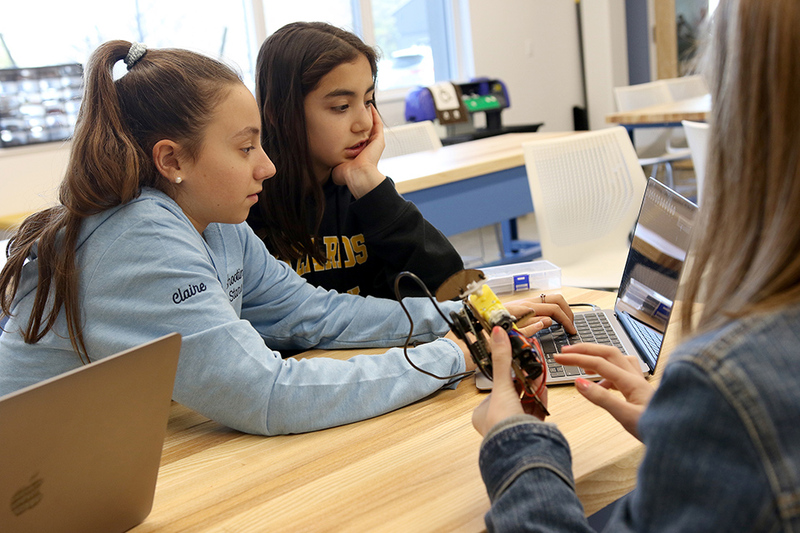 Sixth Grade Coders Get Things Moving! 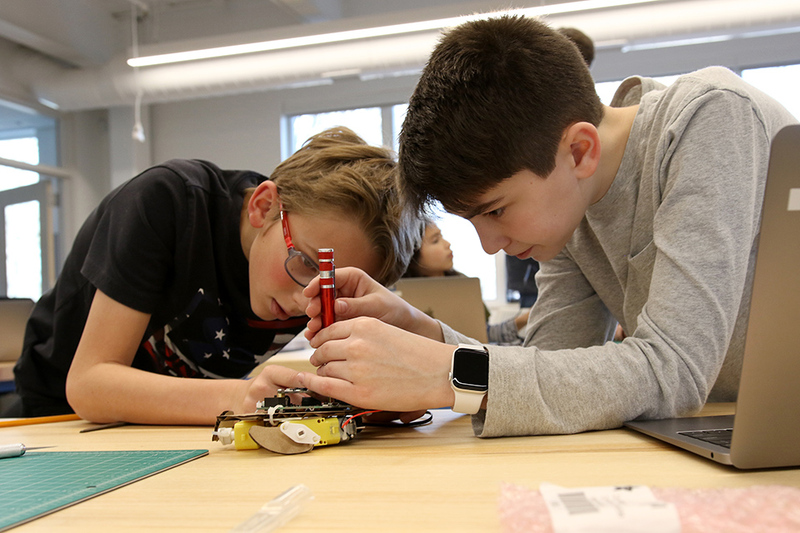 Sixth grade students recently constructed a set of electronic turtles and programmed their motorized fins to get them flapping across the innovation studio floor. 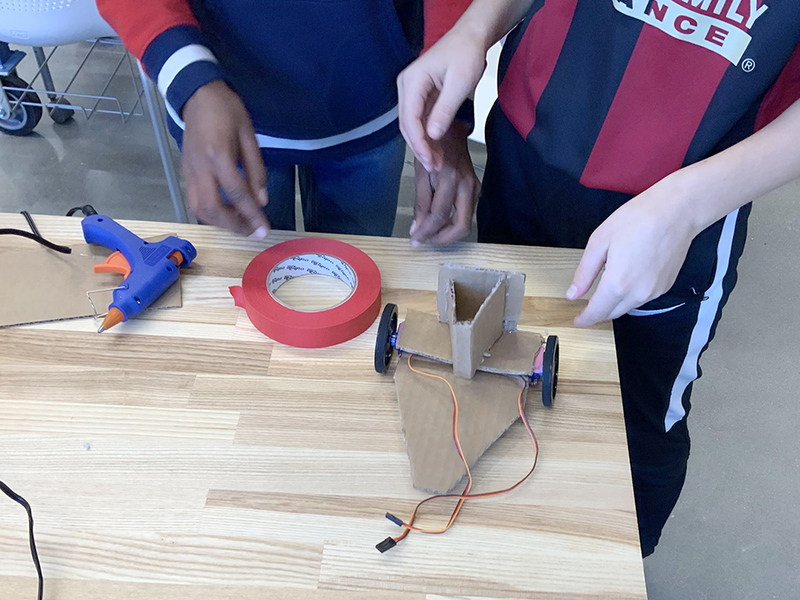 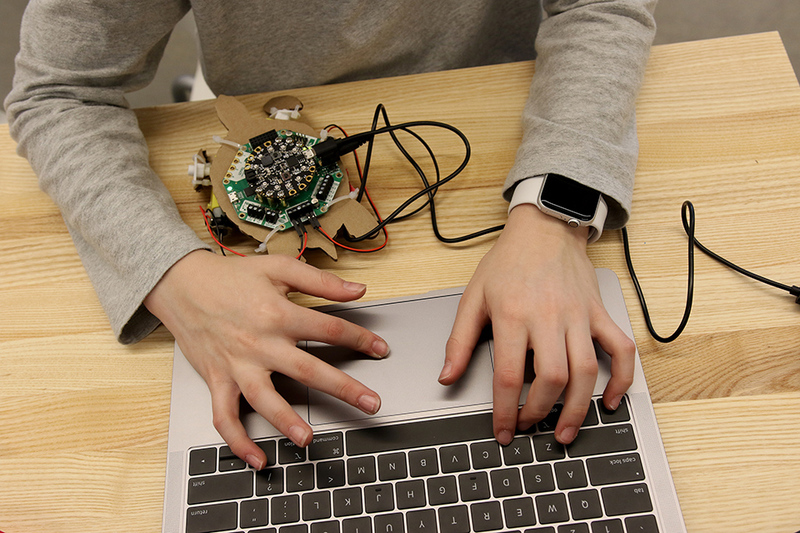 After completing their turtle projects, students are now using their knowledge to create simple self-driving cars that will be able to sense objects and move around them. 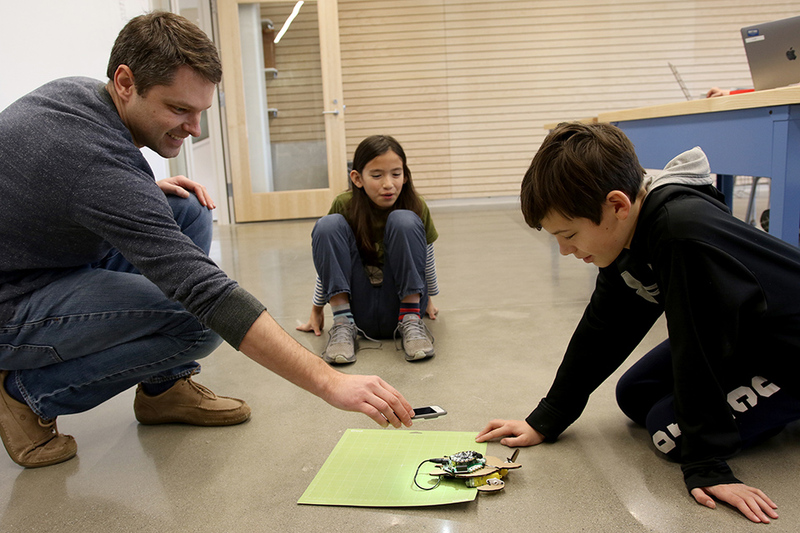 The turtle project challenged students to utilize a light sensor to engage the motors and start the turtle crawling across the floor. 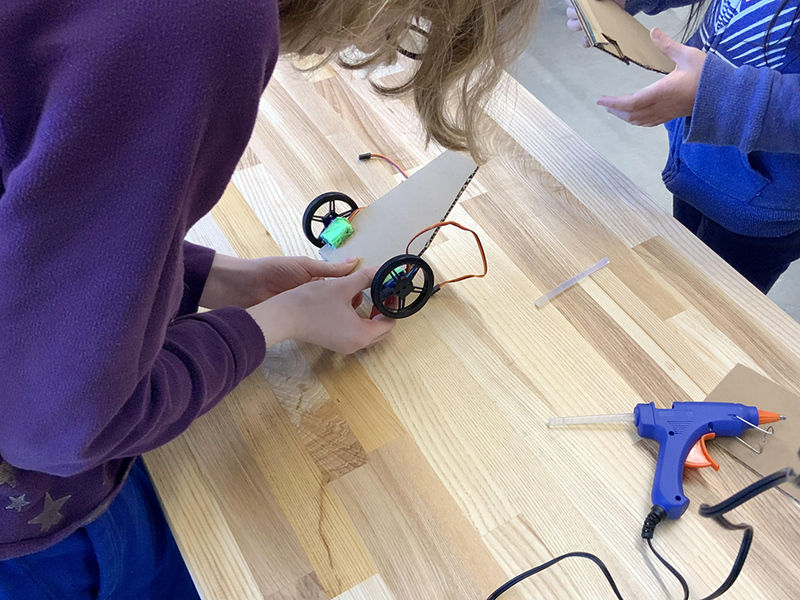 Now they will be using the light sensor to tell the cars if they are about to hit an object and then code the motors to stop and turn to avoid a collision.